your child will remember forever! Magic brings smiles and laughter... A wave of a magic wand and a blank coloring book is filled with color! A top hat, shown quite empty, is suddenly home to a fluffy rabbit! 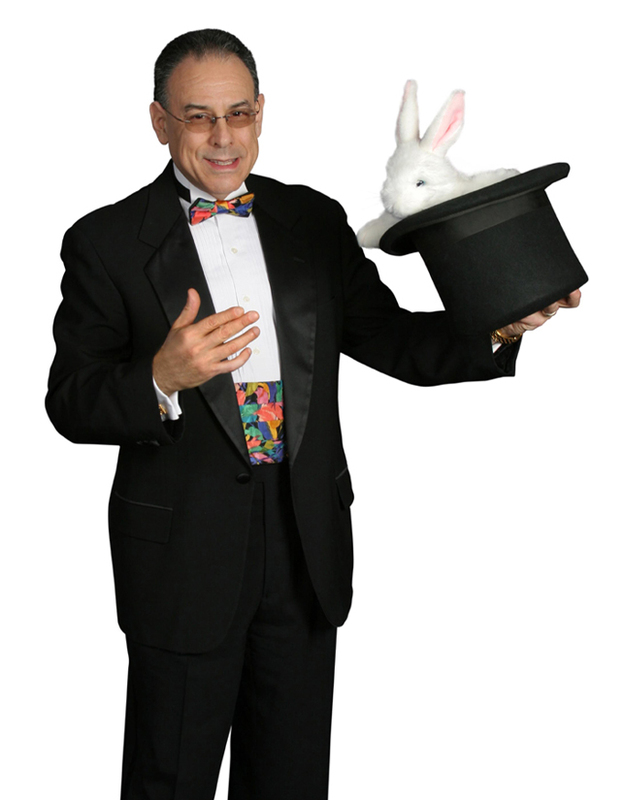 Get ready for The Magic of BoZ... A super-charged, exciting & fun-filled Magic Show developed especially for children & families by Long Island Magician Michael BoZniak. Have BoZ perform at your next Birthday Party and you'll see why audiences never forget his unique blend of outrageous fun. Email or call TODAY for your FREE Party Planner and more information on how BoZ can make your next event truly magical.. Discover how easy it is to throw a party that will create wonderful memories that will last a lifetime. Don't risk disappointing you or your child. Please fill out the form below and I'll email you complete, no obligation details.